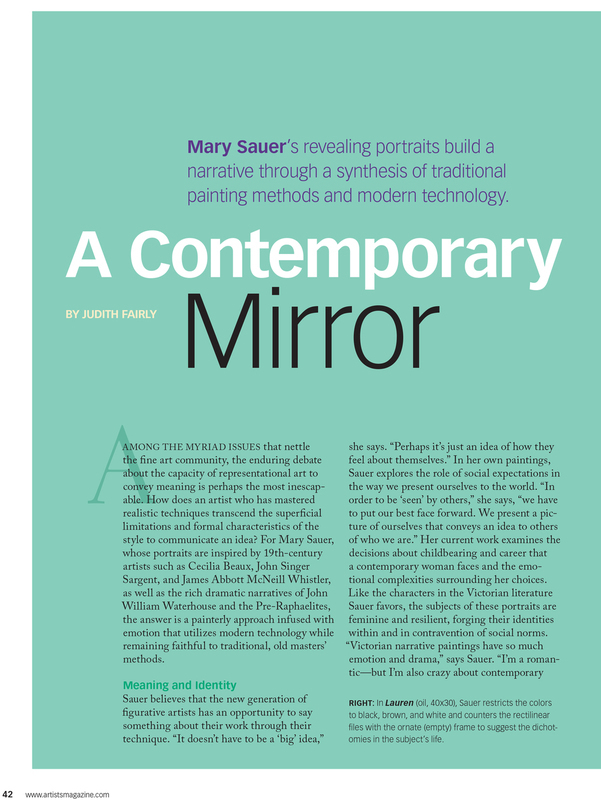 Available in the April 2014 issue of The Artist's Magazine -- this fantastic interview with Mary Sauer offers a look into the techniques, materials, and process she uses to create her stunning portraits. Having just observed Mary's work while she was in town to start a portrait commission -- this article is spot on, a MUST read! Below are three paintings by Mary that show different steps in her process. 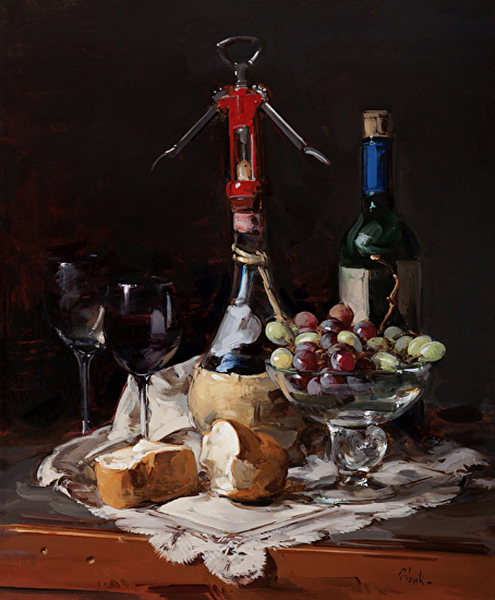 In anticipation of our upcoming Thomas Torak opening on October 18th from 6:30-9pm, we would like to share that 'Bread and Wine' has won the Wholesale Frame Co. Award at the Academic Artists Association 63rd National Exhibition of Contemporary Realism! We couldn't be happier for Tom, whose dedication and technique we deeply admire. Thomas Torak, 'Bread and Wine', 24 x 20, Oil on Linen. 'Bread and Wine' will be hanging and available in the gallery during Tom's solo show -- Alive with Paint. To get a sneak peek of other pieces in the show or a copy of Tom's article in the October 2013 issue of The Artist's Magazine, please feel free to contact us!